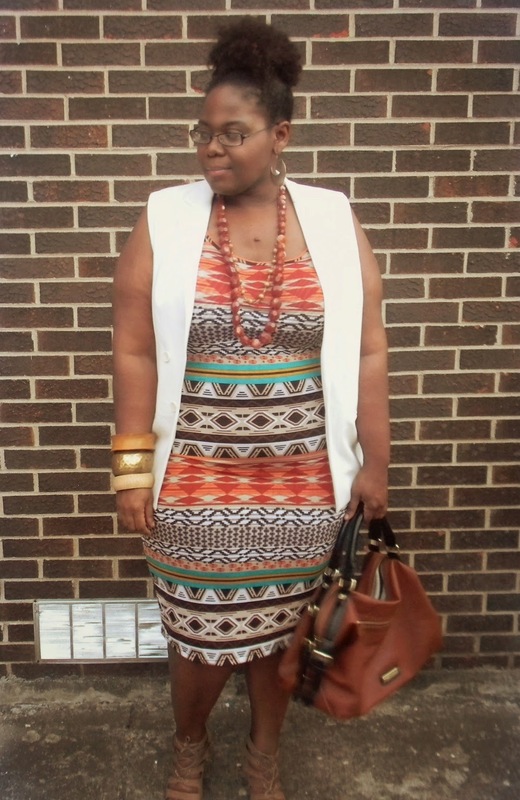 I always hear two different stories when it comes to style concerning the "bodycon" dress. I think I've been clear in my position, I love a great bodycon, I think it works well in my work wardrobe and after hours life (very little that is right now). Printed bodycon items are my favorite. 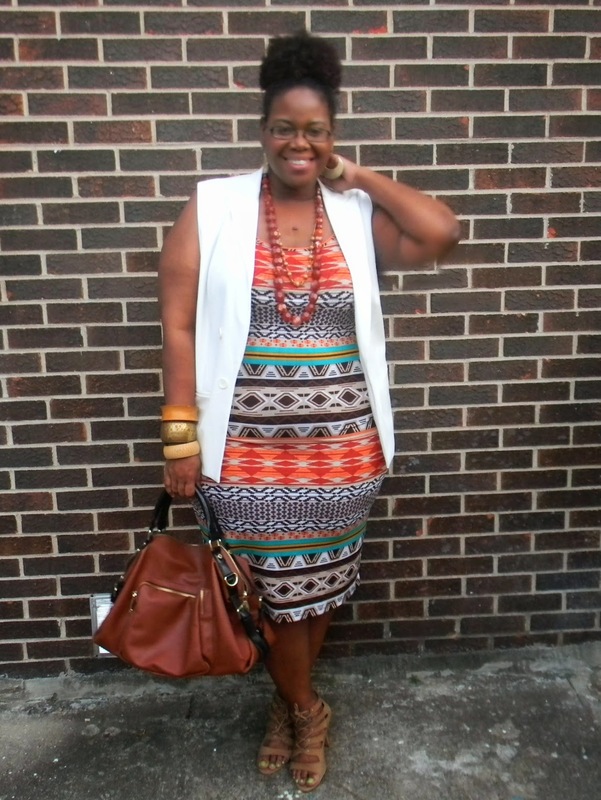 My closet is full of printed, colorful bodycon items ready for work. 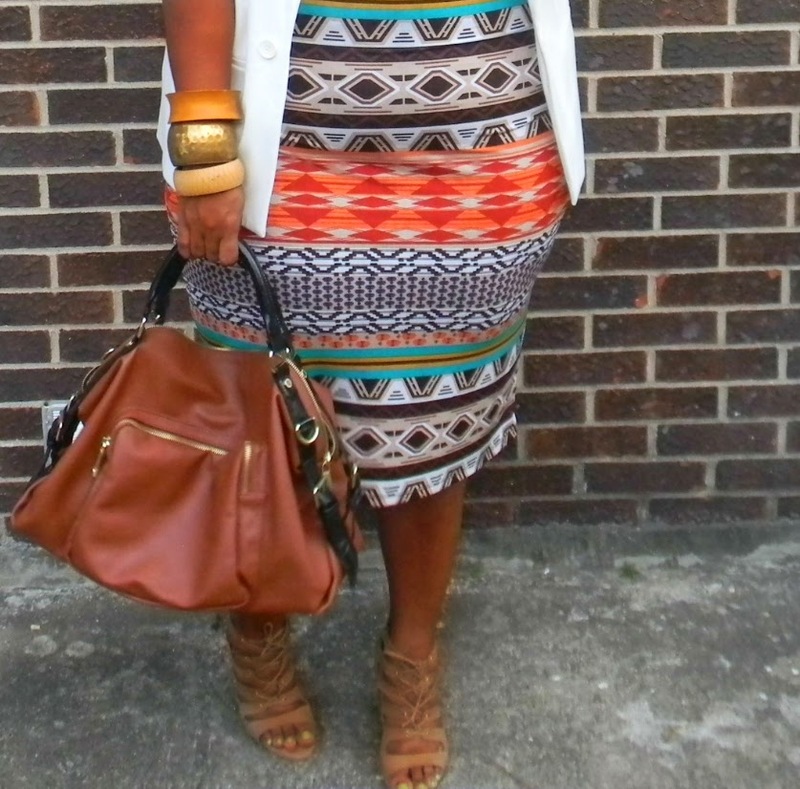 Take this bright colored tribal print bodycon midi from guess.............RAINBOW!!! And hold on to your waist trainers...$7.00!!! I have to tell you Rainbow is impressing the Geek Out Of Me with some of the items I have currently found. Please ladies, never let the past images others have cast on certain stores keep you away from a great item and a great deal. (They maybe talking bad about this place to hide it). Right now Rainbow has a nice selection of items for work and play and most of them are under $20. 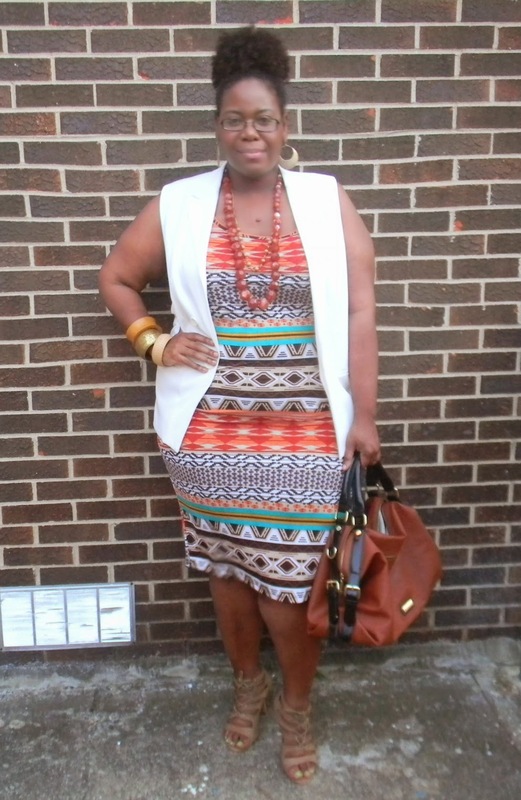 I paired the dress with a "white" vest from Target, also on clearance $13.99| Steve Madden Bag| Tahari Sandals. 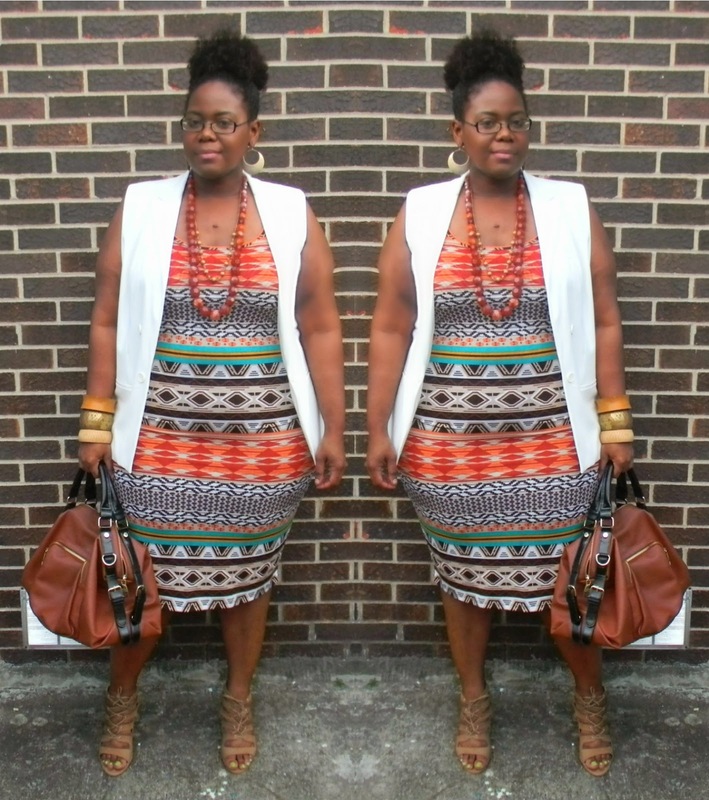 So, What Is Your Take on BodyCon and Work? Let's Chat! I would also like to thank everyone for the love I received this week regarding the passing of my cousin due to cervical cancer. I could not be a more blessed woman to witness such compassion. Thanks Again! 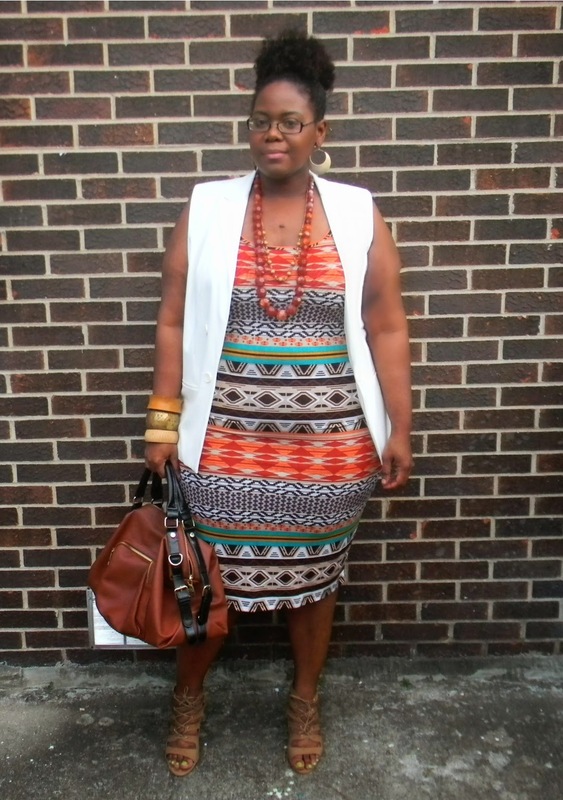 In the beginning I wasn't so sure about how I would look or if I could rock a bodycon dress. 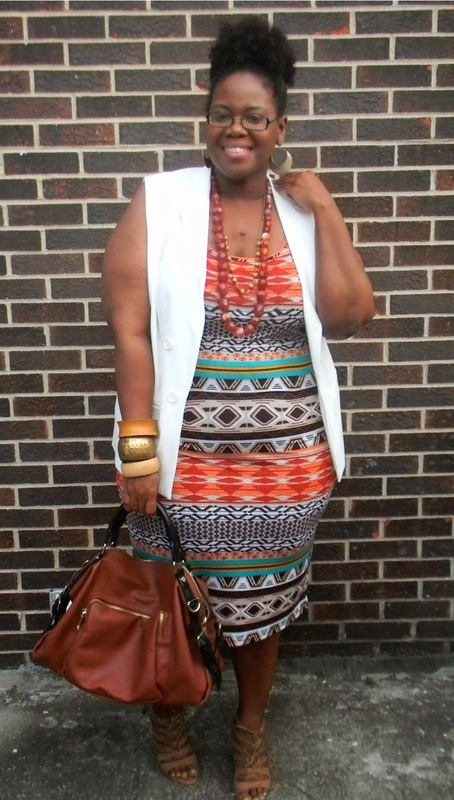 Sense you been styling me for my events I feel and look fabulousin them. I'm making a run to Rainbow! 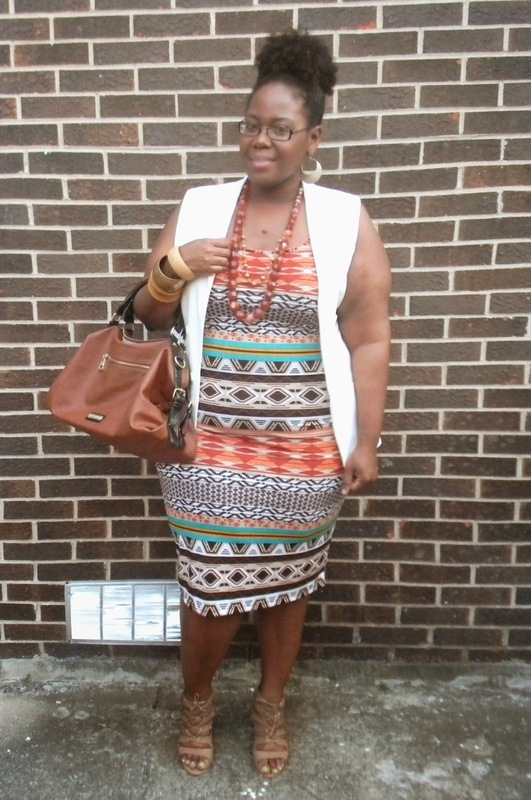 You look great, and I love the way you styled this dress. Very nice!